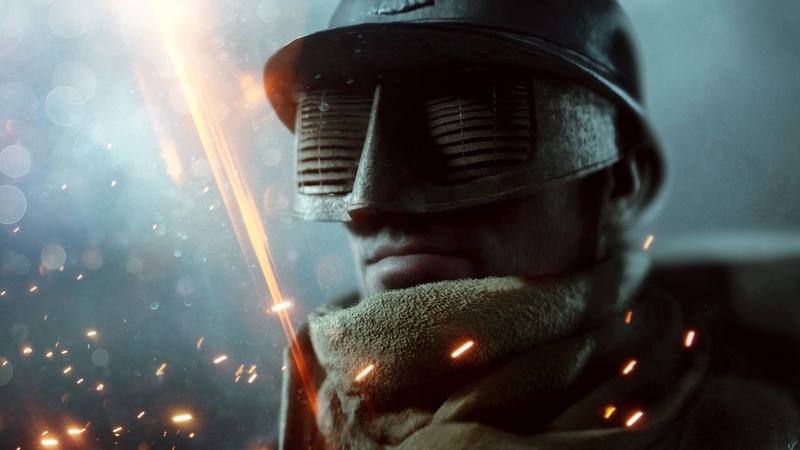 They Shall Not Pass is the first expansion for Battlefield 1. Focusing on France’s contributions to the war, players get a brand new look at the French countryside as it gets ravished throughout the expansion’s many new maps and modes. The French lost an estimated 1.4 million soldiers during World War I, and They Shall Not Pass helped showcase the country’s immense sacrifice as well as the brutality that the war had upon their homeland. 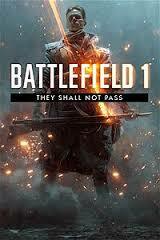 They Shall Not Pass proves to be more than just a simple add-on for Battlefield 1, it offers more options than most complete games, with a bevy of new weapons, vehicles, maps and modes, fans will spend countless hours just figuring out how to see them all. DICE once again proves they are masters of the shooting genre. They Shall Not Pass has a boatload of new content; two brand new operation missions, four stunningly gorgeous maps, dozens of new weapons, new vehicles and an exciting new mode called Frontlines, a mode which sees both teams fighting for control over the same flags trying to push back the enemy. With so much new content and stability fixes that help balance the core gameplay of Battlefield 1, They Shall Not Pass proves to be a solid addition to an already stellar shooting game, and provides a look at what DICE will have in store for months to come. They Shall Not Pass is named for the famous war cry the French used during The Battle of Verdun, one of the most brutal battles of the war. Verdun is one of the more focused areas during the first expansion as it was a major battleground for the French military during World War 1. The area of Verdun has two new maps, Verdun Heights and Fort de Veux. These two maps are quite large but also feature none of the new vehicles, making each battle more drawn out and tend to last longer than normal Battlefield matches. Verdun Heights is focused on trench warfare, and there will be plenty chances to attack the enemy forces using the trenches as a means to escape or hide. Fort de Veux takes place inside a massive fort, and is more accustomed to close range fighting. This map has a very similar style to Operation Locker from Battlefield 4, a closed-quarter level with dozens of players fighting for control inside an enclosed area. One of the new Operations entitled Devil’s Anvil utilizes these two maps. Devil’s Anvil is by far one of the more challenging Operations, both old and new. Trying to take a sector in such rough terrain in Verdun Heights only to be thrown into such closed quarter in Fort de Veux is a challenging task for even the most veteran players. The other two maps focus more on the battles along the countryside of France. Soissons takes place in a French town along the river while Rupture has players battling it out amidst a field of red flowers and broken bridges trying to vie for control of a bridge. Both new maps look astonishing, with the fields of green delicately blowing I the breeze while artillery fire flies above. Buildings constantly crumble and bridges collapse as you fight for control of the town. What makes these maps so much more frantic than the previous two is they are designed to be focused solely on vehicular combat. The new tank, the St. Chamond, is a beast and have four side guns that can be brutal to anyone who meets it and can call in an artillery strike. The new Operations mode for these maps is called Beyond the Marne, named or the river both teams are fighting to control. The battles during this Operation are massive, with both teams starting out with numerous amounts of tanks and artillery trucks capable of turning the tide of war in your favor quickly. A new Behemoth always shows its ugly face during Soissons and Rupture as well. The Char 2C tank is a monstrous beast, and unlike the other Behemoths which can move freely but are slow moving titans, the Char 2C can move anywhere it wants at a brisk pace, like other tanks. It also has five guns that can be player controlled and it’s a double decker killing machine. It takes a lot of firepower to bring it down and is a definite force of nature when it is called upon in the battlefield. Besides, the new tanks, there are many new weapons as well in They Shall Not Pass modeled after the French. Each class gets two new weapons, as well as four new melee weapons. Simple in-game requirements need to be met to use these weapons, which are as simple as getting a certain number of kills or spot flares, and all should be relatively easy to obtain within a few hours. While some of the new weapons pack a heavy punch like the new Medic gun RSC 1917 (which can take off a whopping 50% damage with each hit), many of the other guns feel lacking in terms of recoil and scope. DICE is known to be as realistic as possible in terms of weapon performance and looks so perhaps this is how it’s meant to be, but I found myself going back to some of the older weapons once the novelty wore off, as some of the They Shall Not Passweapons were just not useful enough. While Soissons and Rupture get the new Behemoth, Verdun Heights and Fort de Veux get a new sentry kit when things go south for your team. Called the Trench Raider, this kit allows you to carry a brutal melee weapon and lots of grenades as you punish enemies up close. It has less armor abilities than the previous sentry kits but what it lacks in armor it makes up for in healing, as the Trench Raider can equip its own health pack to drop in a moment’s notice. One of the more exciting new classes to use. Even with these fantastic additions, probably the one most people are talking about is the new mode called Frontlines. In this mode, the game plays out in a sort of mix between Conquest and Rush. 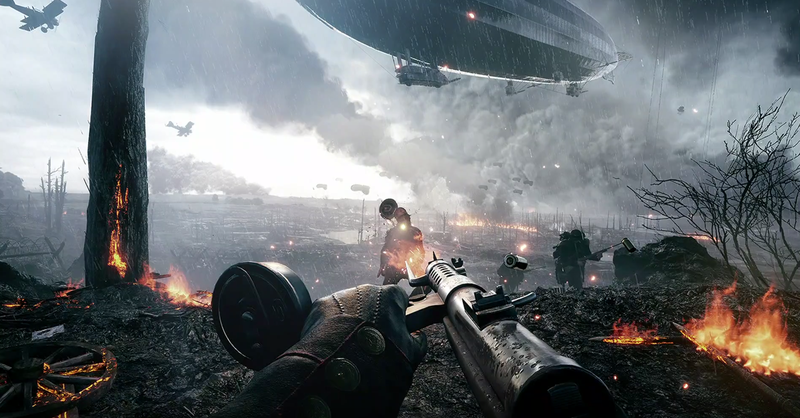 Players fight for control of a flag, and once captured, are moved up sectors to further push back the enemy. There are numerous sectors to be captured before you reach the destination which consists of two telegraph machines that need to be destroyed to win. The enemy can also use these machines to call in artillery strikes on the enemy. It’s a back and forth game that could take a long time to complete if both teams are evenly matched, as the only way to win is to basically control the entire map at once. For a first offering, They Shall Not Pass offers so much value and more. Premium members are getting a huge bargain right off the bat, and with two weeks to unlock weapons and learn the new maps have a distinct advantage over the newcomers who are set to join the fray. The new maps are designed with detail, from sprawling fields with tanks in the horizon to bloody trenches and corridor fighting in an old fort, there is plenty of distinct and new locations for Battlefield fans to enjoy. This is only step 1 for DICE as they have promised at least three more expansions as well, but with what They Shall Not Pass has to offer–new weapons, maps, behemoths, classes and modes, the future expansions have their work cut out for them. They Shall Not Pass is the epitome of what an expansion should be and DICE continues to be at the top of the field in terms of quality and content. They Shall Not Pass is the first expansion for Battlefield 1. Focusing on France’s contributions to the war, players get a brand new look at the French countryside as it gets ravished throughout the expansion’s many new maps and modes….